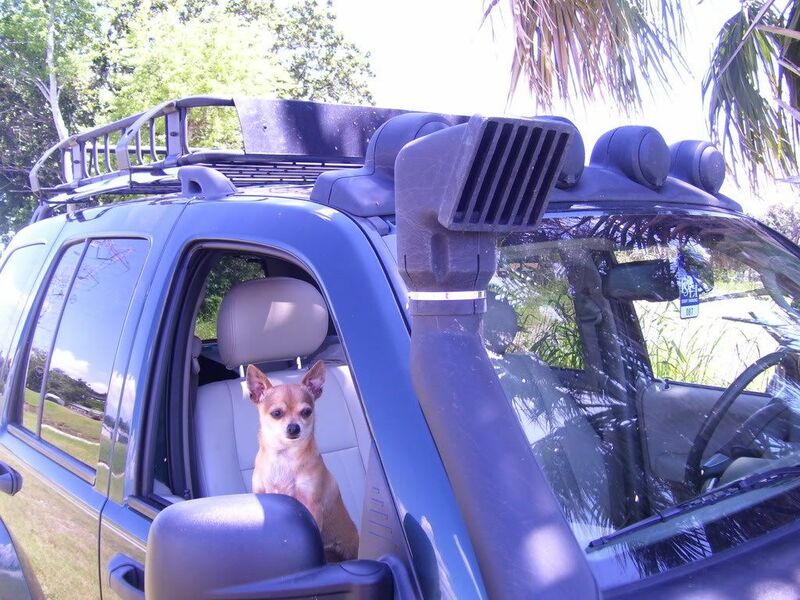 LOST JEEPS • View topic - Desoto State Park? Post subject: Desoto State Park? Any 4x4 trails in or around Desoto State Park, Alabama? Wife and I will be there the 17th until the weekend and would like to find some neat drives. Nothing extreme, just some fairly easy drives off pavement. Any favorite hikes, restaurants, etc. around Ft. Payne? Post subject: Re: Desoto State Park? Got back yesterday. Really nice state park, weather was great! In the 70's and 60's at night. Found a neat area to get offroad a bit. Little River WMA. Went down a few gravel/dirt roads/trails, didn't see anybody else all afternoon. There are 2 places to cross the river. Really disappointed that I didn't put new tires on before the trip! Didn't want to chance it with these bald street tires. Got to see the falls?.....think there were falls. Yes the falls were nice. Hiked up to Lost Falls & Laurel Falls, had some water flowing not a lot. Drove to Desoto Falls, really nice flow and awesome pool! Drove Little River Canyon and stopped at most of the overlooks. Falls had some flow but not a lot. The day before we left it rained all night and day so I'm sure they would all have been nicer. The Little River Canyon drive is very curvy. Drove down a very steep (but paved) road to the park at the end. Really nice park with a great swimming and picnic area, nice restrooms. The WMA isn't well advertised, happened to notice it marked on the gps and drove into it. The main road is gravel and paved in spots. There are a dozen or so trails/roads which are mostly gravel or dirt throughout the WMA. Most were in decent shape, crossed a couple small creeks. A couple were pretty rutted but dry when we went up. Would be a challenge when wet, especially with the steepness and dropoffs. The river crossings looked like they would be a lot of fun, but with no one else around and bald tires I didn't feel like having to walk out! The WMA I'm sure would be pretty rutted during hunting season. Definately worth a couple days exploring and sightseeing if you're in the area. We'll probably go back. I'm such an Idiot for heading West instead of East on HWY 72. Let me know the next time you are in the area. I am in Central AL and would love to go riding/exploring the area.